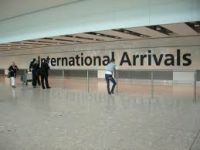 Japan gets the "All Clear"
Travellers will be relieved to learn that airport charges by the owners of London’s Gatwick and Heathrow will remain at the same level until the end of March 2014 following a ruling by the Civil Aviation Authority (CAA). Any increase would have inevitably have been passed onto the airlines and hence passengers. The regulator said that the move will provide an opportunity for the next price controls to be developed in line with the Government’s reforms for airport economic regulation. The Government’s proposal include introducing a new licensing regime for airports with “significant market power,” in line with other economic regulators. 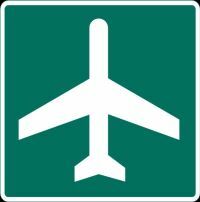 This allows regulation to be tailored to meet the requirements of individual airports, rather than the current “one size fits all” approach being applied to the designated airports. 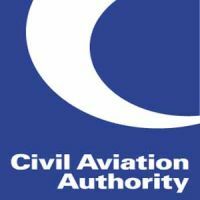 “This will enable the CAA to better target regulatory activity where and when it is needed to protect the interests of passengers,” the authority said. 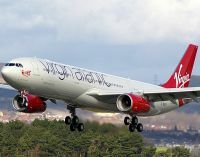 Virgin Atlantic has finally put a twin-engined aircraft into service after a decade decrying them. What clearly persuaded Sir Richard Branson and his able Lieutenant Steve Ridgeway to take this step was a requirement for new aircraft, the safety service records of twins, and a 15% fuel saving over the carrier's A340s. The inaugural Airbus A330 flight was between Manchester and Orlando. The 314 seater is the first of 10 A330s that Virgin will receive over the next two years. They will be deployed on routes from the UK to the US East Coast, East and West Africa, the Middle East and India. They are kitted out with 59 passengers in Premium Economy and 255 in Economy. 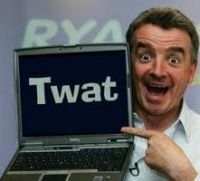 All will benefit from a revolutionary new ‘touch screen’ in-flight entertainments system by Panasonic. They can browse through menus just once and "bookmark" all the movies, TV shows, CDs and games they are interested in and put them in one place – the "Saved" area. And retrieve them in their own time. International Airline Group subsidiary Iberia has been quick to benefit with the new and much more liberal airline rules between Europe and the United States. Last week the airline introduced a three times per week service from Madrid to Los Angeles (LAX). At the same time the carrier started a Madrid – Miami service, also thee times per week. With both routes Iberia is the only carrier. LAX is scheduled 12hrs 40mins from Madrid, whilst Miami from Barcelona is much the same time with both routes operated by a 254-seat Airbus A-340/300, with a 36-seat Business Plus section, recently redesigned, offering an 87 inch horizontal bed. The airline points out that from LAX the other 82 destinations of Iberia’s network can be made at Madrid. Those flying non-stop from Miami to Barcelona can fly on to other destinations in Spain and Europe via Iberia Regional, Air Nostrum and Vueling. Airbus A380 operations into Miami are to be introduced first by Lufthansa. 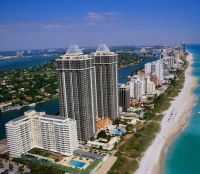 Starting 10 June the airline will be operating daily flights from Frankfurt to the "sunshine state" of Florida. The world’s largest passenger aircraft is replacing a Boeing 747-400 currently serving this route, utilising the existing flight numbers LH 462 and LH 463. Lufthansa will be the first airline to operate A380 at Miami International Airport. When the eighth A380 comes into service the A380 fleet will be operating 84 long haul flights weekly, logging more than half a million kilometres. Each week more than 44,000 passengers around the world will be able to fly with Lufthansa’s new flagship. Accommodating a total of 526 passengers, the Lufthansa cabin will be configured with eight seats in First Class, 98 in Business and 420 in Economy. Miami will additionally be served daily from Zurich by SWISS with an Airbus A340. During the winter flight schedule Lufthansa will resume direct flights to Miami from Dusseldorf with an Airbus A330-300, initially in early October with three weekly flights, increasing to daily service from November. Lufthansa also serves New York and San Francisco with A380 flights. 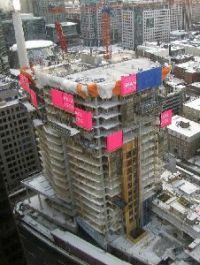 Work is now well under way with the Shangri-La Toronto (as a picture taken in January shows) which will open in 2012. It will be the Hong Kong-based group’s second Canadian property following the debut of the Shangri-La Hotel Vancouver in 2009 by the same development team. Shangri-La Hotel Toronto will be located on University Avenue at Adelaide Street within walking distance of central downtown office buildings, theatres, performance venues plus the vibrant Bloor Yorkville shopping and dining area. Toronto City Hall, the Provincial Parliament Buildings, CN Tower, Metro Toronto Convention Centre, Air Canada Centre and Rogers Centre are all within easy reach. Heathrow Airport’s Terminal 4 has celebrated its silver jubilee, 25 years after it was opened by Prince Charles and Princess Diana in April 1986. With 8.3m passengers last year the throughput of T4 is much the same as Birmingham and Luton airports' stand alone operations. Since it opened 284.6m passengers have flown through its gates. Controversially it is thought by regular Heathrow users in many ways better than the 21st century T5, with very easy access, a large drop-off area, and a simple landside and airside operation. It does suffer from rather long walks to and from the more distant gates. Terminal 4 is significant because it serves the world’s most unusual and far-flung cities. It boasts 38 airlines flying to 53 destinations including Baku (Azerbaijan), Mumbai (India) and Taipei (Taiwan). Building links to emerging markets have been highlighted by British Chancellor George Osborne as a key priority for British businesses. The US Department of Commerce has released its 2010 report on international visitation, noting a record 60m visitors, five million more than the previous year. In 2010, the top inbound markets continued to be Canada and Mexico, both of which were up in arrivals along with eight of the nine overseas regional markets. Non-resident visits from Canada, which set a record in 2010, and Mexico were up 11% and 1% respectively. Excluding Canada and Mexico overall arrivals from overseas markets accounted for 44% of the total. Country by country the figures made some interesting reading with the United Kingdom still the biggest market with 3.85m arrivals, but the only major country showing a drop, 1.2%. Next up was Japan, and here the growth is a mighty 16% (3.38m) but this is likely to drop away in 2011 due to the earthquake problems. Germany is less than half of the UK at 1.72m (+2.3%) and France seeing an 11.4% increase at 1.34.m. 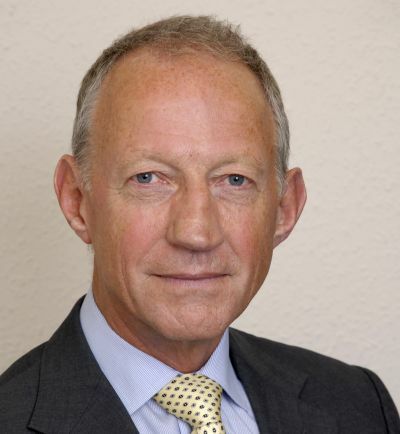 Mike Carrivick is Chief Executive of the Board of Airline Representatives in the UK (BAR UK). Mike is a total airline man having started his career at BEA in 1965, spent 20 years with Qantas followed by a short interlude with Brymon Airways, then Maersk DFDS Travel and finally IATA before his appointment as Chief Executive of BAR UK in 2004. In this role he represents the interests of all scheduled airlines flying in and out of the UK and their dealings with the Government and Opposition in aero-political matters. It is perhaps indicative of the state of things when the best we can hope for as an industry is ‘no change’ in the Budget. Representing 86 airlines, the Board of Airline Representatives in the UK (BAR UK) has been at the forefront in lobbying Government to make the right aviation policy decisions. Despite endless feedback from industry leaders and experts over many years, and even a costly but ultimately ill-fated Government ‘white paper’ on aviation, we now head into yet another consultation which delays the introduction of the visionary policy the country needs. Let’s start with the positive part this year. The industry should take some delight and comfort from the fact that, collectively, it worked together, through the ‘a fair tax on flying’ campaign www.facebook.com/afairtaxonflying and got a great result: APD rates are frozen until 2012. In today’s fragile marketplace, that’s a win! From a BAR UK perspective, the other positive outcomes were the Government’s acknowledgement that Per Plane Tax proposals are recognised as unworkable and that international transfer passengers would not be charged APD. The new consultation on APD announced by the Treasury includes proposals to levy tax on passengers in private jets, examine options to re-align the current banding system, and reconsider the rate for Premium Economy Class. The consultation closes on 17 June. However, looking to the future, the Chancellor is determined to bash the industry even more. What’s being said, in other words, is what you get away with this year (despite no increase ever having been announced) we’ll get back from you next year. Furthermore, to add to the pain, the Treasury is seeking to almost double its revenues from APD, from £1.9bn received in 2009/10 to a massive £3.6bn in 2015/16. These exorbitant increases further threaten the industry, will add substantially to the costs of holidays for the public, and continue to affect the economies of several overseas nations that rely on British tourism. They also continue to conflict with the Government’s own objectives of economic growth and increased numbers of international visitors. Consequently, the entire industry must continue its pressure on the Government to finally get it right, not regard aviation as a cash cow, and to create the correct environment for aviation that will allow UK industry to remain internationally competitive and prosper. The baseline is that the UK still levies the highest aviation taxes anywhere in the EU, and the revenues raised already outstrip the industry’s costs of emissions. No tax has the right to decimate an industry, which the current aviation tax threatens to do. Even before the Budget 2012 is published, Treasury intends to impose two compounded inflationary increases to all APD rates. Athletes and visitors to London 2012 will find it even more expensive to visit this country. We don't want to deter them from coming, and we want them to return in the future. Let’s be clear that aviation is not going to stand idly back and watch its work be slowly eroded by economic policies. It will continue to lobby Government as long as necessary. Britain’s Coalition Government has published its scoping document “Developing a sustainable framework for UK aviation”. It is a 42-page manuscript that leads off with Transport Secretary Philip Hammond stating “It would be wrong to suggest that the Government holds all the answers. That is why this document asks a wide range of interested parties for their views on the key questions we face. Clearly we won't agree on everything, but by working closely with key stakeholders at this early stage, we can provide a policy framework for aviation which strikes a balance between different interests." This follows quick decisions to cancel Heathrow’s third runway and not to support expansion at Gatwick and Stansted. Mr Hammond acknowledges aviation’s significant contribution to the country’s economic health. Comment time has been further extended until 30 September 2011, critics noting that no definitive Government policy on air transport is likely to be published until spring 2012. Unite Union has announced that some 5,811 cabin crew members have voted in favour of strikes in the coming weeks at British Airways’ Heathrow hub. The union must announce the strikes within the next 28 days and then give seven days’ notice of implementation. BA has in total just under 13,000 in-flight staff, the number in favour of industrial action around 45% of the total. 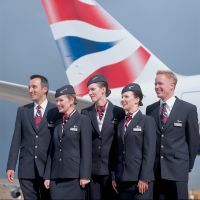 "We urge BA's boardroom to see this as a clear message that they must think again about how to regain the trust and confidence of a significant part of their cabin crew operation," Len McCluskey, Unite's General Secretary said in a statement. "We continue to be in discussions with the company to find a solution to this long-running dispute." IATA has published confirmation from six United Nations (UN) agencies monitoring Japan’s damaged Fukushima Daiichi nuclear plant that there is no health or transportation safety hazard. The UN statement also confirmed that screening for radiation of passengers arriving from Japan is currently considered unnecessary at airports or seaports around the world. OAG (Official Airline Guide) has published its schedules database for April indicating that airlines worldwide will operate 3% more flights in April 2011 as compared to April 2010. 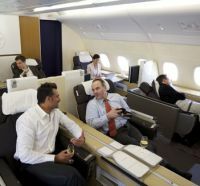 The total number of flights operating in April 2011 is 2,523,350 with an overall seat offering of 317,376,168, an increase of 5% as compared to April 2010. The trend is for more efficiency with less services and more seats. The amount of flights on offer is as good an indication as any of the state of economy. Traffic within North America reflects an increase of 2% in both frequencies and offered seats. In Europe the numbers are very flat, only increasing by 0.3% and 2% respectively but again indicating the airlines are using larger aircraft. Following a major scare, America’s Southwest Airlines has grounded around 80 Boeing 737-300s from its total fleet of around 550 737 series aircraft. 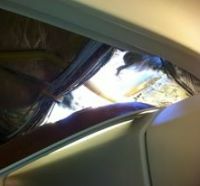 On Friday (1 April) a Southwest jet en route from Phoenix to Sacramento, flying at 35,000ft and carrying 118 people, lost a roof panel and with it cabin pressure. Wearing oxygen masks the pilots made a fast but controlled descent landing safely near Yuma, Arizona. Passengers recalled tense minutes when they saw the sky above and fumbled frantically for breathing equipment whilst the aircraft descended. There were no injuries with the exception of one of the cabin staff who suffered minor wounds. 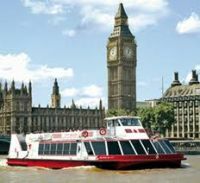 City Cruises will be offering what is essentially a sightseeing service between the four major destination piers on the River Thames (Westminster, London Eye, Tower and Greenwich) daily this summer. This is not to be confused with Thames Clippers who run what is effectively a water bus service from Embankment to North Greenwich with extensions up river to Milbank and down river to Royal Arsenal Woolwich. These boats operate every 20mins and are much used by regular commuters. 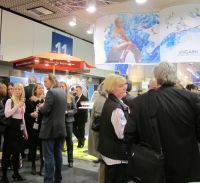 More than 170,000 visitors, 11,000 exhibitors, and over 7,000 journalists attended in record numbers this year’s international travel show, the 45th ITB in Berlin. 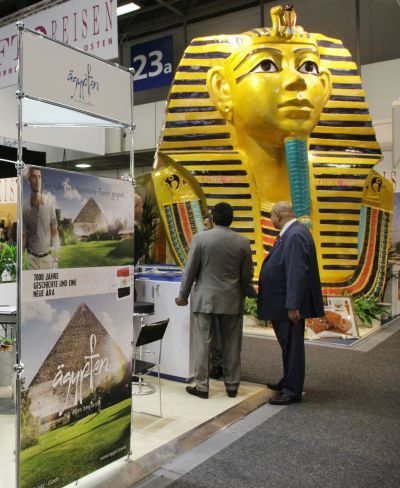 At what is arguably one of the largest international travel exhibitions there was a positive buzz in the 26 show halls as delegates and exhibitors from over 188 countries demonstrated an optimism not seen for a number of years. Organisers of the conference bore out the buoyant atmosphere reporting deals worth over €6bn had been conducted over the six-day gathering. The United Nations World Tourism Organisation (UNWTO) re-enforced the positive outlook predicting an increase in international tourist arrivals of between 4% and 5%, although the recent political unrest and the natural disasters are expected to affect short term predictions. Whilst ITB is predominantly a German show, visited by thousands of business and public delegates alike, this year saw 40% of the attendees coming from overseas, the highest ever number. The vast halls were filled with a mix of businesses from destination representation companies through to the national airlines and everything else in-between along the value chain. New highlights at this year’s show included the introduction of three days of electronic media seminars which attracted thousands of delegates who listened and debated the subject of how Web 2.0 would affect the industry. Debate from companies such as Vodafone, Voyavo from the USA, TouristMobile, Clanmo and mvolution, centred around the efficacy of mobile solutions and if apps are really going to change the way people research and book travel. Social media was also a key topic, and undoubtedly the social networks were deemed to be essential marketing platforms and increasingly influential in the purchasing decision. 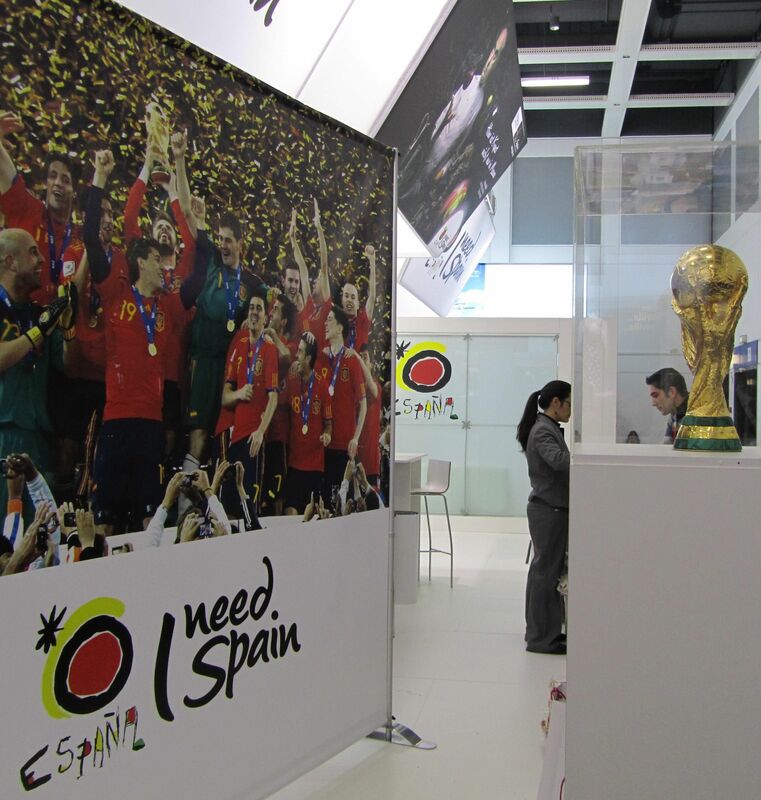 Along with the ever popular destinations of France, Italy and Spain which were all seeing increased demand from the German market again, the central and Eastern European halls were teeming with visitors. Patrick Bohl, Head of Airline Strategy and Development for Budapest Airport, the region’s central hub for aviation travel commented: “We’ve had a very good exhibition, lots of new contacts have been made. This is a great conference as business gets done, and the networking opportunities enable you to pick up news and information you’d miss out on sitting in your office.” Budapest Airport was promoting their newly opened SKYCOURT terminal that will double the capacity for passengers travelling through the airport. Airlines in general were upbeat. Emirates demonstrated their new Airbus A380 product which enabled visitors to experience the on-board lounge and view the spa shower which was greeted with a positive response. Air Berlin. explained their network expansion which is developing through partnerships with airlines such as Finnair, American Airlines and S7. Joachim Hunold, CEO Airberlin, said the announcements “were all met with a good response and are evidence of our efforts to continue to expand this business sector.” Air Berlin also announced their aim of making flights more environmentally friendly in 2011 by reducing fuel consumption to a record low of 3.5 litres/100 passenger kilometres. Qatar Airways, which recently launched a Budapest to Doha service, were also upbeat about their expansion plans for the future. Chief Executive Officer of Qatar Airways, Akbar Al Baker, confirmed the Middle Eastern airline’s commitment to route expansion and fleet growth saying: “We are targeting 120 destinations within the next three years, and will have 120 aircraft by 2013.” The aggressive route expansion will see the airline’s 100th destination added in April when flights commence from Doha to Shiraz (Iran). Hot on the heels follow Venice and Montreal, the airline’s first Canadian destination. Further east the troubled countries of North Africa maximised their attendance by convincing delegates that they were open again for business. Egypt launched a new ad campaign arguing that change in political process makes the destination an even more attractive place. 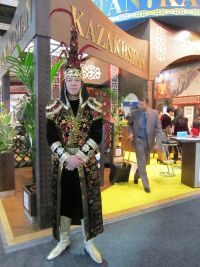 It was also confirmed they would be the partner country for ITB 2012, taking the place of Poland who at this year’s show demonstrated their diverse offering of cultural and natural treasures as well as showing off their venues for the upcoming Euro 2012 championship. The former President of the Republic of Poland, Lech Walesa, was a popular visitor to their stand. However one of the quietest booths in the halls was that of Libya where there was a much reduced team on hand to deliver the message that Libya is a fascinating place. “The pictures we have here do not do our country justice,” said one of the team. “We know that when tourists arrive their expectations are exceeded, we really do have the wow factor which is important for future tourism.” The team were stoic about their current situation arguing that they know the problems will end and perhaps then there will be even more opportunity to put Libya on the tourism trail. “We are doing OK at the moment because whilst the oil workers have moved out the hotels are busy catering for media,” they commented optimistically. The presence of Iraq, exhibiting for the first time since 1966, was noteworthy and other welcome return exhibitors included São Tomé & Príncipe, Sierra Leone and the Democratic Republic of the Congo, last seen at ITB in 1993. Whether this indicates an increased tolerance from the travel world, or the genuine desire for the new regimes to promote tourism, remains to be seen. 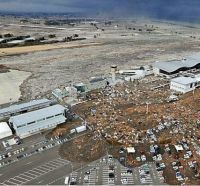 The Japanese earthquake and tsunami clouded the mood and unsurprisingly the Japan stand was closed from the midday on the Saturday of the show for their national day of mourning. International politics were strongly represented with national delegations from 94 countries attending. Political presence was probably best demonstrated by the holding of the first ever “UNWTO Silk Road Ministers’ Summit” which focused on development of the ancient trade route. Kazakhstan’s national carrier Air Astana, along with other central Asian countries is actively seeking ways of providing access to start points along the route. The former 1960s ‘Irish International’ livery is flying again. In order to mark its 75th anniversary celebrations Aer Lingus has unveiled the latest addition to its fleet, an Airbus A320 EI-DVM, MSN 4634 series, named St Coleman. Backdrop to the ceremonies was Old Central Terminal Building, Dublin Airport – designed by the late Desmond FitzGerald. 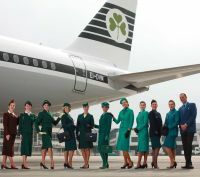 Cabin crew modelled vintage uniforms, from each decade beginning 1945 through to the current Aer Lingus uniform by acclaimed designer, Louise Kennedy. On 27 May 1936 Aer Lingus launched its first ever flight between Baldonnel and Bristol, with five passengers, on a six-seat De Havilland 84 Dragon named Iolar – meaning ‘Eagle’ in Irish. As part of the anniversary celebrations, the sister aircraft of the Iolar has undergone a restoration project, meaning it is once again airworthy and will partake at celebratory events throughout the year. Britain’s Competition Commission has confirmed an earlier ruling that BAA Ltd is required to sell Stansted and either Edinburgh or Glasgow airports within the next two years. The Commission has invited responses before publishing its final verdict in May/June. Interestingly it says that Stansted should be sold first, with a “small overlap’’ between that sale and the disposal of one of the Scottish airports. Several parties are said to be lined up with bids for one or both of the properties. With Stansted considerable terminal investment has already been undertaken and a 50% rise in passenger traffic can be achieved without any major work required. The airport’s biggest problem is its dependence on Ryanair as the dominant carrier, but as easyJet has shone at Gatwick in the longer term this can change. The budget carrier now serves more destinations than British Airways from the airport. With Stansted the lack of a dedicated express rail link to London seems to have had the effect of stopping any expansion of long haul international routes. Since 2008, the UK budget hotel market has grown by 35%, adding 20,000 rooms and is now set to squeeze out independent and mid-market brands by 2030. These are the findings of a new study into the hotel market by Melvin Gold Consulting that looks at future trends within the hotel industry. In spite of the economic downturn in the last three years the UK branded budget hotel sector has thrived and supply has grown by 35%. Market share has accelerated from 12% (end of 2007) to 16% of rooms in the UK serviced accommodation sector. This increase has been dominated by Travelodge, the fastest growing UK budget hotel brand, and Premier Inn. 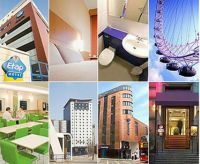 Both groups opened hundreds of new hotels across the UK via new developments, acquisitions and conversions of run-down independent and mid-market hotels. Findings revealed the total number of serviced rooms in the UK at present stands at 729,000. By 2030 this should reach 830,000. The UK, with 6% share, remains a growing market for branded budget accommodation. However it is well behind mature markets such as the USA (33%) and France (25%). 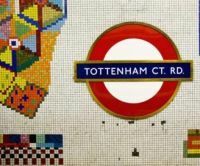 Tottenham Court Road, one of London’s (and for that matter the world) busiest Underground stations has been closed as a stop on the Northern Line Tube and will not re-open until late November. It is part of the station upgrade to incorporate the arrival of Crossrail later into the decade. Tottenham Court Road station is over 100 years old and was not designed to be used by the 147,000 people that currently pass through it every day. This is expected to grow to over 200,000. Central Line services at the station will run as normal and the Northern Line platforms will be back in service well in time for Christmas. Passengers wishing to use the Northern Line are advised to use nearby Goodge Street or Leicester Square. Interchanging passengers need to plan their journeys before travel. In what was explained as an “April Fools” joke the airline said it was introducing ‘Child Free’ flights from October (winter schedule) after a claimed Europe-wide survey of 1,000 passengers showed that half would pay higher fares to avoid other people’s children. The survey indicated that a third of passengers (36%) have had flights ‘ruined’ by other people’s noisy kids with one in five passengers (18%) urging Ryanair to restrict the number of children on flights. 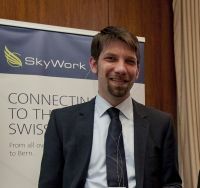 SkyWork Airlines of Switzerland has made its debut in the UK market offering an evening daily service from London City Airport to Bern, the Federal capital. Initially operating once daily Sunday to Friday frequency increases up to 11 flights a week from 5 September facilitating day returns Monday to Friday, tailored to the needs of both business and leisure travellers. The airline launched the service with an impressive reception at London’s Swiss Embassy, the Ambassador himself acting as host. Bern Airport is situated just outside the small city (population 130,000) that is the capital of Switzerland. It is a UNESCO World Heritage Site. Initially the fast and very comfortable 31-seat Dornier 328 will be used for the services but SkyWork has already run a training flight with a Bombardier Q400 into the airport. The Portuguese islands of the Azores, in mid-Atlantic, will again be connected this summer non-stop from the United Kingdom. The alternative routing is via Lisbon. From last Saturday (2 April), SATA International resumed direct flights from Gatwick and Manchester to Ponta Delgada in Sao Miguel, the largest island of the Azorean archipelago. SATA operate a fleet of four Airbus A310 and four Airbus A320, both aircraft two-class. The total population of the nine islands that make up the Azores is around 250,000 and whilst quite south the average highest temperature is below 20°C (70°F). Two people went into this restaurant. They said: "Waiter, have you got spaghetti on the menu?" The waiter responds: "It does looks like it. I'll get a cloth and wipe it off."